Microsoft Excel is the most popular computer-based spreadsheet, used for data recording, analyzing and manipulating. The spreadsheet makes many of our routine tasks easy to complete within the stipulated time. This is the reason why everyone prefers Microsoft Excel Training to complete personal or professional projects more efficiently. Some features Excel status bar displays, like sum, count and Average by default. But, if you want to customize right click on the status bar, the menu allows you to customize. You can add other available features like count, Minimum or Maximum etc. AutoFill option saves your time in case of repetitive nature items. ●	Using Synchronous Scrolling option, you can scroll through both pages by dragging the slider bar. ●	Many options will appear to change in size of the document, number of copies, print header etc. ●	Double click it will take it all the way down if you have continuous data. Two cells information can be easily combined just by adding “&” option in cells. For example, combine “A” and “B” cell data add =A2&” “&B2. This tool helps you work with a small dataset. Simply, Select the cells and then click the Quick Analysis tool that automatically appears in the lower-right corner of the bottom of the selection. You can quickly generate charts, tables, and graphs. ●	Speak Cells to add this function to your quick access toolbar. 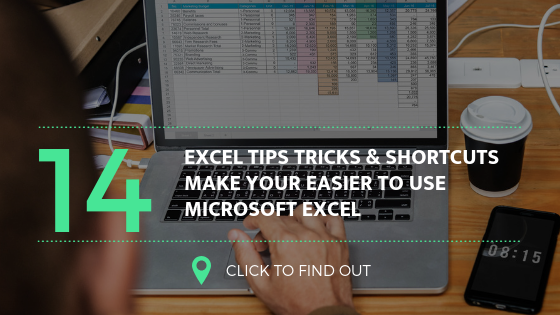 Microsoft Excel is played important in all sphere of business projects. Microsoft constantly updates the app to make it more useful for the end users. But if you find any problem don’t hesitate to join the Microsoft Excel Course. Go to the training institute and learn new shortcuts to make your project easy.